JEE Advanced 2018 online registration process to begin from 2 May on the official portal. 01 May 2018: JEE Main 2018 result has been declared yesterday (30 April 2018) at 06:30 PM. A total of 231024 students has qualified for the JEE Advanced 2018 exam. As per the official schedule, the online registration process for the JEE Advanced examination will begin from 02 May 2018 (Wednesday). Eligible and interested candidates can apply through the official website. The last date for registration is 07 May 2018 up to 5 PM. The result for the exam will be declared on 10 June 2018 (Sunday) at the official website. The result will also be informed through text messages on candidates’ registered mobile number. 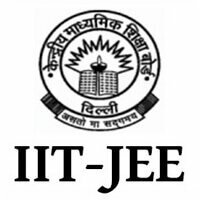 Candidates who qualify the JEE Advanced are eligible for admission to the IITs. Those who don’t qualify the exam can appear in the common counselling process conducted by the Joint Seat Allocation Authority (JoSAA) for admission to NITs, IIITs, and CFITs on the basis of their JEE Main scores. JoSAA counselling will start from 19 June. It covers 23 Indian Institutes of Information Technology (IIITs), 23 Indian Institutes of Technology (IITs), 31 National Institute of Technology (NITs), and 20 Centrally Funded Technical Institutes (CFTIs).